This attempts to position the National Policy Framework for Social Integration (NPFSI) named “Access for every one” (Savivara) within politics of post war Sri Lanka that Minister Vasudeva Nanayakkara proudly exhibits as his National Languages and Social Integration Ministry’s most formidable contribution for reconciliation. The whole programme was funded by the German government through its GIZ administered Facilitating Initiatives for Social Cohesion and Transformation (FLICT) that was initially called Fund for Local Initiatives on Conflict Transformation. Having met Minister Nanayakkara, UNHR High Commissioner Navi Pillai sounded satisfied, there is some positive work done under that ministry. I personally believe, not only Minister Nanayakkara, but politician Vasudeva has also been proved a fake, under the Rajapaksa regime. The September 21st NPC elections voted overwhelmingly for the TNA manifesto and now with the EPC adopting a resolution asking for all powers under the 13 Amendment, it is proof Northern and Eastern, Tamil and Muslim people see nothing convincing in this government’s post war reconciliation and social integration. Which means, Nanayakkara’s ministry created NPFSI adds nothing to this regime’s “reconciliation”. This ministry simply can not expect the Tamils and the Muslims to trust their “Access” programme for social integration, when the Minister himself goes to Jaffna to tell the Tamil people what Gotabhaya says from Colombo. The NPC will not be given land and police powers said Minister Nanayakkara, addressing a press conference in Jafffna, while on an election campaign trail in the North. Apart from how the people would trust such a minister in this regime, the issue of how such a politician conceptualises his social integration programme is very much in question. His political perception of the unresolved political conflict, seems no different to that of the rabid Sinhala campaigners in the Rajapaksa government, who believe what has already been done as “development” in the North and East, is what “reconciliation” means and is adequate. The absence of any serious understanding of the political conflict, is quite evident and stands out very conspicuously in the NPFSI. Reading through over two dozen A4 pages having left out pages of name lists and abbreviations, I was shocked to find that this NPF for “Social Integration” has absolutely no mention, this is intended for a country that had been through a 30 year brutal and savage armed conflict. That this is for a country that left over 240,000 civilians completely displaced and languishing in barbed wired camps, having been displaced many times before and moving from place to place for many years. That this is for a country that still keeps counting and disputing the numbers died during the last phase of the war and the regime that fought the war refusing to accept responsibility. There is absolutely no mention that this NPF for “Social Integration” is for a country that for decades have been left polarising on an ethnic conflict that lost thousands of lives on both sides of the barricade. A country that has over 80,000 war widows and perhaps an equal or higher number of children without both or one parent. A country that has hundreds of mothers, spouses and children who are still searching for their missing family members. An ethnic conflict that brought out Sinhala masses on the streets in jubilation to celebrate not the end of the war, but the defeat of the “Tamils” and their separatist agenda. A country that does not know it needs a seriously thought out and planned re-socialising programme for its brutally battle hardened military. Instead, I read through with utter disgust, three empty messages by minister Nanayakkara, ministry Secretary Mrs. Malkanthi Wickramasinghe and GIZ-FLICT Technical Advisor and National Process Manager to the ministry, Ms. Dayani Panagoda that had praises for each other and for the GIZ-FLICT, obviously for funds received. None of them had ever been living through a war in SL, from what they have carefully worded in their messages. Sadly, the FLICT has failed too. What ever technical advice was given to this much claimed consultative process by GIZ-FLICT, the first question they should have asked the ministry is, “why does the ministry think this country needs a foreign funded programme for reconciliation, social integration and cohesion ?” The answer to that would have led to other important issues that have been conveniently left out of this NPFSI. The case for social integration and reconciliation goes far beyond the 30 year war. The 30 year war and its fixation on the LTTE, Prabhakaran and “Separatism” is what this regime and its paid writers are ailing and living with. Gradual disintegration of a society during the first 30 years after independence that should have instead been integrated, is what led to an armed conflict, led to armed groupings like the TELO, EROS, PLOTE, EPRLF, EPDP and the LTTE and to names like Prabhakaran, Karuna, Pilleyan, KP and Devananda, all products that could have been avoided, had the Sinhala political leadership managed social integration and cohesion as a political task in establishing an inclusive, plural and a secular State, post independence. That political task never addressed, the ministry of National Languages and Social Integration, if mandated as it says, to facilitate “a trilingual, integrated society that assures rights of one and all and respects each other” should, to begin with, acknowledge the fact, this State does not allow any such hallowed objectives. The State with which we live had evolved into an ideologically responding Sinhala Buddhist State. The process of “Sinhalisation” of the State was begun in real terms in 1956 with PM Bandaranaike’s “Sinhala Only” policy, enacting in parliament its Official Language Act No. 33. 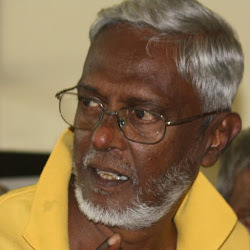 This left the minorities – Tamils 11.2% and Muslims 09.2% accounting to a good 21% – who speak, read and write Tamil as their mother tongue, in then old Ceylon and Sri Lanka after 1972, out of the State hampering very much their day to day correspondence and communications with the State. Much later inclusion of Tamil language as the other official language, has not mitigated the actual political issue of the State functioning as a Sinhala Buddhist State over the past decades. The Sinhala language becoming the only official language till end 1987 was no isolated happening with just an Act passed in parliament. First, it allowed Sinhala educated youth to secure State employment. Two, it was accompanied with a politically argued social ideology for Sinhala Buddhist supremacy in every aspect of life in the country. Therefore the British established old Ceylon Civil Service (CCS) turned into a bastion of Sinhala educated, Sinhala thinking administrators from majority Buddhist background as the Sri Lanka Administrative Service (SLAS), the pinnacle of the State in administration, planning and implementation. The other arms of the State too were similarly taken over by the Sinhala Buddhist majority. The controversial yet silent transformation was in the military and the police, where during the Colonial rule, the officer caste came from English educated, urban society. With British Colonial influence, the Christian and Catholic influence and dominance was very much an established fact. Sinhala recruitment that was essentially Buddhist and led to gradual re-organising of the security forces after 1956, made the old English educated non Buddhist elite in the army, quite insecure. Established as the Royal Ceylon Army under the British and not more than 40,000 by 1960, saw its major infantry battalion being overshadowed with the establishment of the “Sinha Regiment”. It was no doubt the beginning. Thereafter the Sri Lanka Light Infantry got its mascot, an elephant named “Kandula”. No accident it was to name it thus. King Dutugemunu is said to have fought and defeated the Dravidian King Elara on the back of his elephant named “Kandula”. The infamous and failed Coup de tat in 1962 against Madam Bandaranaike’s government led by a group of high level Christian-Catholic officers in the military and the police, is a reflection of this shift to Sinhala Buddhist dominance. Thereafter, one would see other regiments being formed as Gemunu Watch, Gajaba Regiment and Vijayabahu Infantry Regiment, all Sinhala historical names proving the State is too Sinhala to at least think in terms of “Ruhuna” or “Wayamba” regiments. The war was thus fought out as one between Tamil youth fighting for separation and a Sinhala army recruited, trained and deployed during the last 40 years to fight for the Sinhala “Unitary” State. The whole society being State controlled through Sinhala dominated governments, post 1956 development was also thought of as development of the Sinhala South. Therefore, all except 04 State owned Corporations were in Sinhala South. Those 04 State Corporations – cement, mineral sands, chemical and paper – could not possibly go South, for logistical and natural resource necessities. So were the foreign funded projects that came during the Jayewardene era. Called “Integrated Rural Development Programmes” (IRDP) and begun in 1978 from Kurunegala district, IRDPs as a norm were double phased, each running to about 06 to 08 years. There had been 19 such development programmes over a 20 year period. None had been planned for North and East of Sri Lanka. The Mahaweli Development programme considered the most aggressive and enterprising of all development efforts in post independent Sri Lanka, left out North and East. This discrimination stands out tall, with Uda Walawe area in the Southern dry zone, brought under the Mahaweli Development Authority in 1982. This,despite Uda Walawe in early 1950 being brought under a very comprehensive development programme in 04 phases called “Uda Walawe Irrigation and Resettlement Project” covering both its left and right banks. The consolidation of the Sinhala Buddhist State was achieved through numerous, complex means after the Official Languages Act in 1956 and over almost 03 decades. Every such intervention in turn strengthened the Sinhala social psyche and made the two leading political parties to compete for Sinhala votes at every election. The major issue now, is not only to diffuse and negate the Southern social psyche but to restructure the State to be inclusive and accommodative. This requires the NPFSI to accept their statement, “Diversity demands social integration” as empty and abstract. The reality demands acceptance of equality as what allows social integration in a diverse ethno-religious society. That “equality in diversity” is not possible under this State and with the dominant Sinhala psyche that drives all policy and decision making. Therefore, apart from taking stock of a post war, brutally polarised country, its historical degeneration and disintegration needs to be seriously discussed, for any reconciliation, for social integration and cohesion to be planned and programmed. Grass root work may be in vogue for funding, but what is more necessary here is a political will and a programme that takes on the most difficult task of dismantling what has been assembled in the past, in terms of State administration in every public department, agency and institute. Such is not the NPFSI, the ministry of National Languages and Social Integration is proud selling for international consumption. Do they buy such talk ? The international community has been happy buying such crap to ward off hard decisions, not only on Sri Lanka, but every where else with rogue or failed States. The British brought ‘Civilization’. The Banda brought ‘Sinhalisation’. J.R Brought Hitlerization, Preme brought Gangsterization, Chandrika tried ‘Sri Lankanization and now we have Percy’s ‘plunderization’. In this context what exactly can the objective of any National Policy Framework for Social Integration be? It can decide for instance on what a “Sri Lankan” is going to be: A slimy crook who seeks to subvert the legal framework, a religious fundamentalist committed to violence, a master of corruption, cheating and cunning deceit, a buddhist who at the same time tortures, rapes and murders, the NPFSI can decide what kind of creature the Sri Lankan is going to be. As for Vasu, a politician is a politician and Vasu has always been a good one. Thanks for this analysis. You are so right Kusal..If the Ministry of National Languages and Social Integration were serious the first thing it would do is pass a Bill on the Prevention of Incitement to Racial and Religious Hatred and Hate Speech and promotion of Multiculturalism,(as exists in Britain to protect Asian immigrants). The Ministry for National Integration is run by Vasu’s son and there are NO MINORITY community members in sight there, hence no account of the war and its impacts. That Ministry captures and wastes a lot of donor funds which should go to strengthen civil society, but donors are now forced by the Rajapassa regime to fund its Ministries and subsidize MILITARIZATION since aid is FUNGIBLE.. FLICT should stop wasting money funding Vasu’s shows at the LKC. There is not a single minority community member associated with the NPF whereas recall the National Vision for Sustainable Peace that was a civil society document done by Dr Devanesan Nesiah et al. that reflected the voices of all the communities.. Hence NPF is not an INCLUSIVE document in process or substance and minorities will have none of it. GIZ is wasting its time and money funding Vasu! Gota the goon and Balu sena which attacks Christians and Minorities need to be tried and locked up for disturbing the peace in and destroying social integration..
A German funded Social Integration Policy framework needs to have that as point 1 or stop wasting funds on Vasu’s son! So we see the same old father to son pattern of political succession and rent seeking behavior – the dead leftists are the worst it seems! Curtailing free speech on the basis of alleged ‘Hate Speech’ is a sure fire recipe for totalitarian society. Free Speech should not be infringed upon , especially speech critical of religion, because religion has for too long all over the world been used as a tool to suppress. SL should adopt the American view on Free Speech and not the anti liberty view of UK with its ‘Hate Speech’ laws. Way to go Kusal! Thanks, keep it coming..
DEMILITARIZATION is and HUMAN SECURITY, particularly for minorities is the first step of SOCIAL INTEGRATION. Rather than national security. 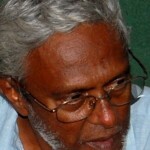 International “aid”/loan donors like DIFID and GIZ have been actively supporting or remain silent about the post-war militarization of the country by Gota the white van criminal, while funding Vasu’s social integration comic opera at the Laksman Kadirgama Center run by a kid with connections. These LKRIS shows, some of which I have seen, are a fig leaf to cover the post-war DEEP STATE and Rajapassa military dictatorship! Its wheels within wheels man with donors, the state and a donor dependent civil society.. India and China are militarizing Lanka because of their own interests, while the US is selling arms to India to boost its economy and fight China in the Indian Ocean – but all this regional militarization is detrimental to Democracy Within Sri Lanka which is increasingly a MILITARY DICTATORSHIP with a DEEP STATE and facade of democracy. Sinhala Civil society should tell DONORS like GIZ to assist them and call for Lanka to be a “demilitarized zone of peace in the Indian Ocean”, now that the LTTE is gone. The World Bank and IMF that preaches “good governance” and “Do No Harm” (aid should not fuel conflict) in transitional contexts has been funding and subsidizing the expansion of the Ministry of Defense via the UDA. This MUST BE STOPPED and WB closed down! UN claims to be expert in DDR – Demobilizing and reintegrating militaries after conflict has been remarkably silent on the need to DOWNSIZE and right size the military of Sri Lanka, so civil society MUST speak in one voice on this matter and loud and clear – Sri Lanka needs a ROAD MAP FOR DEMILITARIZATION TO RESTORE DEMOCRACY and donors need to help civil society rather than funding that clown Vasu’s Ministry who hasn’t got a clue about social integration..
You summed up the Sri Lankan political problem very well. To solve the problem all stake holders, including the international community who funded and aided one side of the war, must understand what he says. How can Vasudeva who can’t even get a Tamil name physically implemented for a street in Colombo that was recommended by the municipal council do an ambitious job of national integration? All the politicians hanging on with the government are hypocrites. This is indeed true and a good metaphor – domestic violence to describe the post-war Sinhala abuse of minority communities..
During the war S.J. Tambiah called it – Ethnic Fratricide – brothers killing brothers.. There will be another cycle if the Rajapassas remain in power much longer.. Thanks Dushy. That’s the best way else as TNA demanded complete federalism is the solution else there wont be any peace for either to Tamils or to sinhalese. I am not sure that’s a good idea. After years of bloodshed this kind of talk will lead to further problems. The racists in the South will create hell for everyone. The TNA is sensible on this and a genuine devolution into a federal set up must be supported by all. Under these circumstances the neighbours have more chances of groping the wife with her absolute consent. How can one even think of ‘reconciliation” with those they are trundling and trampling? Not only the North is militarised but even the Presidential Task Force for Northern Development is militarised (six out of 19 members are from the armed forces but not a single Tamil member). USAID DEMOCRACY AND GOVERNANCE : SRI LANKA ASSESSMENT, December2006: ”Donor-funded peace building efforts are often disconnected from structural changes in the state; conflict exists not simply because people don’t like each other but because of unjust institutions and structures. Without fixing the institutions and structures, it is not clear how much progress can be made in working with communities alone”. Your assumption is that our prime ministers/president should have been pushe into a psychiatric ward for evaluation and given treatment for ever. Who comes next would have been the problem.All these guys seem to be out of the same mould.The ones following would walk right in their foot steps. Sri Lanka,your woes are many and none to take care of these.People are trying yet three steps forward and then pushed two steps back. Its a back step TANGO. Poor Vasu too has to sing for his supper! Otherwise, where can he go for a living? The other arms of the State too were similarly taken over by the Sinhala Buddhist majority. The controversial yet silent transformation was in the military and the police, where during the Colonial rule, the officer caste came from English educated, urban society. With British Colonial influence, the Christian and Catholic influence and dominance was very much an established fact. Sinhala Buddhist majority hold the power. Sinhala Buddhist Majority is in the military. Hmm gee I scratching my head thinking what does this guy expect to see in a Buddhist Majority country? How does he thinks it works in Tamil Nadu ? They share Tamil Nadu with Malayalees do they? Stop being a lunatic Kusal Perera. Sinhala Buddhist is a minority in the NE (Tamil Eelam). I am sorry they are a minority in South Asia nevertheless they behave as if they are the majority in the Indian ocean. Yes they do all the time, from water, artists,actors,singers, industrialists, to politicians. All you have to do is come out of Sinhala/Buddhist pit and look around you. Indian constitution is completely different from your Sri Lankan Sinhala/Buddhist Mahawamsa based system of governance. Tamilnadu is part of India and enjoys certain degree of autonomy and also constitutional guarantee for the people living within those regions. As a single populace people Hindians are the majority but they don’t dictate the Tamils or any other people with their majoritarian views, though they love to. There is some sort of constitutional arrangement under which guarantees are provided to all people to secure, promote their own culture, language, land and religion and they are not threatened by parochial majoritarian politics. If you go by majoritarian rule, then 17 million stupid people have the sole responsibility of running the country,making 17 million mistakes a day. You and Kusal Perera can howl until cows come home. How are you going to logistically prevent 80% Sinhala population population taking up 80% of the island, 80% of the military, 80% of the state? Sinhala is going to be a “majority” in every sence of the word whehter you like it or not isnt it? I think its called “living in denial”. Look it up. I am not interested in mere 80%, my objective is to have 100% of my ancestral island for my people. You need not to worry about the logistics, I am confident you will arrange it yourself. I like it as it is, your 80% majority represents 80% of the stupid people of this island. It makes our life much easier. Yes of course, you are right. However at the end of the day I will be proven right. All I have to do is arrange free boat trips to the West or Australia. All Sinhalese young parliamentarians should read this – they don’t go and tell the diaspora that they don’t know what happened in the 50s/60s/70s. This should be translated and distributed widely in the South (to educate them on the discrimination of ethnic minorities) and the North (to make them feel secure enough to stand inside United country). A Tamil acquaintance of mine told me a few years ago that he had met a serving Sinhala/Buddhist judge in a foreign country that she was unaware of the fact that Tamils who served in the government services were indeed required to pass Sinhalese language examination to continue their service within 3 years of accepting his/her post. She also didn’t know Tamil was not an official language. He could not remember her name but believed he met this lady judge in 1984/85 period who was on sabbatical. Was it Shirani Bandaranayake? Vasudeva’s bill has not gone for voting yet and it will have the same life cycle similar to various Presidential Commission reports. Vasudeva is sitting on the fence showing the world that his body is supporting the minorities. None of his recommendations have been accepted by the regime and still Vasudeva is part of the UPFA group. Vasudeva and Rajiva want to show that they are the reasonable people in the UPFA but this is only for show and a game played by President Rajapakse to show the world that he has sane or opposing people in his UPFA Government. If Vasudeva and Rajiva are honest to themselves first they should resign form UPFA same goes to Rauff Hakim and his group. I read CT with interest. Probably the only forum for open discussions. However, in many of the comments for this article and others I come across usage terms of poor mental health and treatment for mental health for bad behaviour. I hope writers and commentators will resist from doing this as mentally ill persons are not excessively prone to violence compared to others. They also show ethical and moral values just like the rest of the population. So if we look at most of the bad persons in history they did not suffer from mental illnesses, it need not be different in Sri Lanka now. What about those large advisory panels Vasu has put together whose members meet often and spend long hours eating Vadai and drinking tea? And you must see the literature they distribute in all three languages and the glossy invitations they send out everywhere? Well, after all it is German funding, not ours no? The FLICT has taken over the Ministry buying everyone with its Deutsche Marks. And who is this Dayani Panagoda? How come she can survive every regime and still be everywhere that matters? What’s the secret? Who’s who is she? Poor Vasu appears to be doing something to narrow down the gap in language divide. Even with foreign funds there are simple grievances he cannot solve. Take for example of the many retired Tamil teachers who know only Tamil. When they need to contact officials at Pension Head Quarters, Colombo, (where there are hundreds of staff with very attractive designations) no receptionist or responsible officers to answer their call in Tamil regarding their pension woes. I think the Tamils’ should be grateful that the feelings are not mutual. At least the Sinhala people are willing to try and integrate. If you stop and think of what a band of terrorists did to our Country and her Economy over a 30+ year period while the silent majority of Tamils ( as they claim) remained helpless onlookers….the Sinhala should be given Mandela status for not tearing the Tamils’ apart limb for limb when victory was achieved ! We still know of Tamils who are worming their way back into the commercial sector with plans to “look on helplessly” when the next battle breaks out. Look at the communication sector very carefully some people who aided and abetted during the last war are now back !